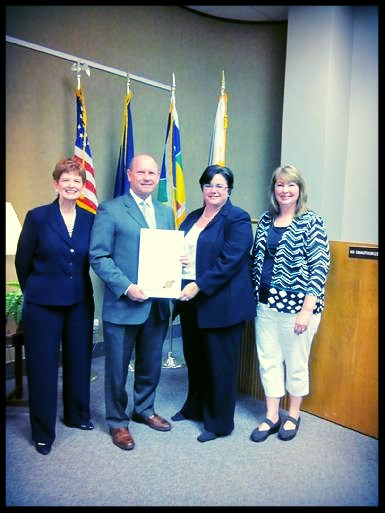 City-Parish President, Joey Durel, proclaimed the week of September 15-21, 2013 as PARALEGAL WEEK and Thursday, September 19. 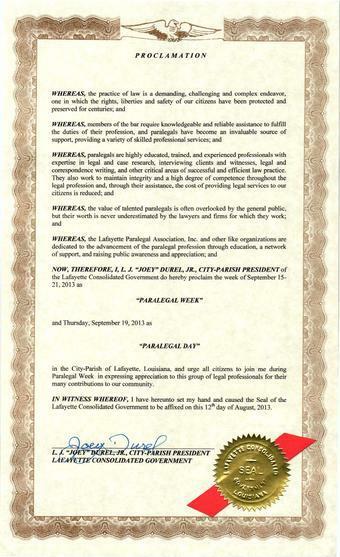 2013 as PARLEGAL DAY in the City-Parish of Lafayette. LPA member Kaye Pooler, City-Parish President Joey Durel, President Lesley Simon and LPA member Michelle Domas. 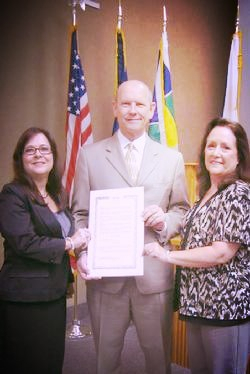 City-Parish President, Joey Durel, proclaimed the week of September 16-22, 2012 as PARALEGAL WEEK and Wednesday, September 19. 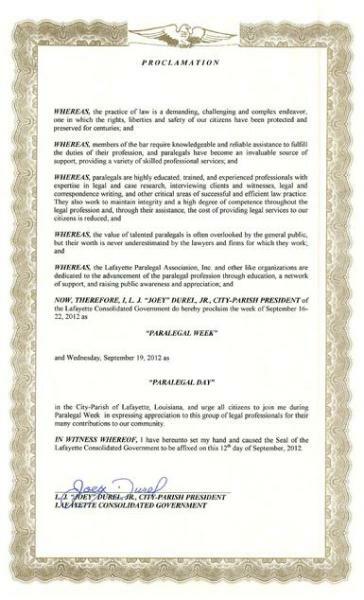 2013 as PARLEGAL DAY in the City-Parish of Lafayette.